Applying for a school place, school prospectus and catchment area. At Meadow Lane we provide a stimulating, fun, caring and secure environment in which the lives of the children are enriched to enable them to achieve their physical, emotional, academic and social potential. Ultimately, we aim to foster a joy for learning and for life and enable the children to make a positive contribution to society. 1. To develop a feeling of self-worth and contentment, whilst considering the feelings and needs of others. 2. To develop positive moral attitudes, enabling children to make informed, responsible choices about their behaviour and actions in and out of the school community. 3. To be an inclusive school accepting, supporting and nurturing each other. 4. To engender a positive work ethic. 5. To encourage independence and decision-making in the wider environment. 6. To provide learning at an appropriate level using the preferred learning styles for every child whilst using a range of thinking skills. 7. To support parents and carers as their children's first and most important educators by involving them in their children's education and in the full life of the school. To support them in their own continuing education and personal development. 8. To work co-operatively and sensitively within the school and within the wider local and global community. 9. 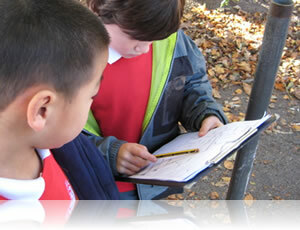 To encourage curiosity through enrichment of the curriculum. 10. To foster a love of literature, enabling children to learn to read fluently and develop their skills as writers. 11. To develop the social and technological skills necessary to communicate confidently and safely in a changing world. 12. To foster an enjoyment, understanding and application of mathematical concepts. 13. To encourage and recognise the importance of physical activity and a healthy, safe and happy lifestyle. 14. To develop creativity and self-expression through the arts. 15. To develop an understanding and celebration of a wide range of cultures, faiths and differences. 16. To develop an understanding of history and appreciation of their surroundings. 17. To foster respect for the environment and take an active role in its care and protection. 18. To sustain and maintain high expectations throughout the school community and celebrate our successes.